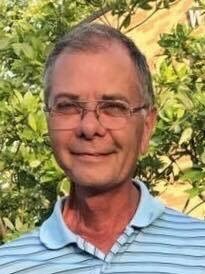 Indianapolis - David Randall Staton, 58, passed away Wednesday, November 14, 2018. He was born February 20, 1960 in Indianapolis, IN to Don and Renda Staton. David was employed at Jockish Flowers for 40 years. His love for flowers showed daily in his work. He loved youth sports, which included watching his children play as they grew up, as well as his grandchildren and other family and friends. David loved spending time on the golf course, fishing, or at the American Legion Post 88 singing karaoke and playing shuffleboard. David was preceded in death by his beloved wife, Carolyn Staton (Carnes); parents, Don and Renda Staton; and brother, Douglas Staton. He is survived by his daughters, Alissa Cruz and her husband, Jeff and Amy Staton; grandchildren, Ava and Emma Cruz; sisters, Deanne Sevier, and her husband, Phil, Debra McDaniel and her husband, John; brothers, Dennis Staton and his wife, Marianne, Donald Staton, Jr. and his wife, Kathy and Dusty Staton; and many other family members and friends. David’s family will receive friends Tuesday, November 20, 2018, from 11 am – 1 pm at newcomer Cremations, Funerals & Receptions, 925 East Hanna Avenue, Indianapolis, IN 46227. A celebration of his life will follow at 1 pm. Add your memories to the guest book of David Staton. Just found out about David's death. Sending sympathy to all his family. The Staton's were long time friends of mine. God bless. Deepest condolences to all the staton family... so many childhood memories . Prayers for all of you as you gather once again to celebrate a loved life. Friday night's at the Legion won't be the same without you. Rest in heaven & until we meet again my friend. Condolences to all of the family. David so enjoyed the pool table and dart leagues at the Legion ?? As the Post Chaplain of Garfield Park Post 88 we offer our prayers and condolences to Dave's family and many friends. He will be missed but always remembered ?? My sincerest condolences to the Staton family. I loved him too. What comes to mind first is he was my pool guy. I don’t care if it was just him or many in the pool SUZY was always there. He would say you missed a phone call, and if you weren’t thinking fast enough and asked who it was he would be in the air coming down hard yelling Suzy to splash you big time. If you were standing next to the pool in clothes he would still do it. No discrimination lol. For our circle of friends summer time was our time. Now summer will never be the same with so many from our circle gone. I will never be able to think of him without tears.Love you always Dave. Dave was a wonderful man loved his family and his friends very much he always had a joke or would make you laugh or even make you feel loved . HE is a great man ,loving husband ,and a very greatfil father. Fly High Dave love you and miss you always. I've known this Amazing family all my life Douglas was my first love, I met Dave, Deny,carol,marriane and being around my Grandma's house I grew up with all my uncles friend's. I loved going over on the weekends cuss I'd see all of them. Growing up with all of uncle Gary's friend's was fun. I didn't realize how much I'd love them all till later. Dave loved his karaoke,one of my favorite memories is him singing 'Sweet Caroline' to carol. He was a microphone hog,if one of the other guys had it he'd say please unplug them. He was more than a friend he is family. With all my Deepest sympathy and love for all of you.love you always Sheila. A. K. A Stella Renee. you are all together again with slugo.. May God give us strength and Guidance for this difficult time.God Bless..
David will always be in my heart as Well as Dougie. Grieving with your family and friends.